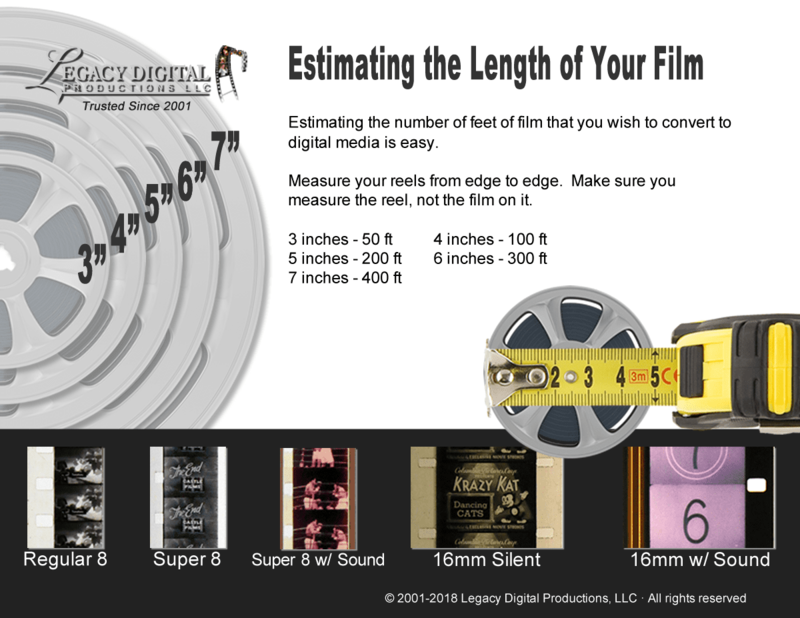 We at LegacyDigital believe that your media belongs to you and you alone. We will never share or display your pictures or videos online or anywhere else without your consent. LegacyDigital uses information other than Personal Information you provide for the purpose of fulfillment of your requests and improvement of the Sites and materials contained thereon and for any other purposes which we deem reasonable and necessary. LegacyDigital may, from time to time, produce reports for advertisers, sponsors, Group Companies and vendors containing anonymous, aggregate information about our users and customers, such as demographic, age and online usage information. This information allows LegacyDigital to provide content and offers that are most relevant to our users to work more closely with advertisers. We do not include any Personal Information of our users in these reports. 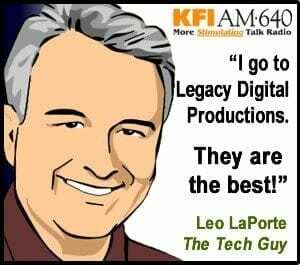 LegacyDigital shares anonymous, aggregate demographic information, and anonymous information obtained from cookies and similar technologies, with each of our distributors, our sponsors, promotional and business partners, and participating vendors. No Personal Information, such as credit card information, is disclosed to any of these third parties in sharing such anonymous information. In the event that you choose to transact using a credit card, LegacyDigital will supply to your credit card company all relevant information about the name of the vendor, item(s) purchased, purchase date, total cost and other information necessary to process the transaction. LegacyDigital will not otherwise provide any Personal Information to your credit card company without your permission. LegacyDigital will not disclose your Personal Information to any third parties without your consent; provided, however, that LegacyDigital reserves the right to use or disclose to a third party any information without a customer’s consent in the following circumstances: (i) if it is requested by any laws and regulations; (ii) If LegacyDigital deems it necessary for protection and security of human life, body or assets (including the Sites); (iii) if LegacyDigital deems it particularly necessary for improvement of public health or enrichment of children’s welfare; (iv) if LegacyDigital deems it particularly necessary for cooperation with a governmental body or other public organization or its designee in discharging its duties pursuant to the laws and regulations (including investigating breach of laws), or otherwise deems it particularly necessary for the public interest; (v) if LegacyDigital outsources the handling of personal information to the extent necessary for its business operation. (1) The individual customer that is identifiable by the personal information (the “Owner”) may request LegacyDigital for the notification of the purpose of use of Retained Personal Data as defined in the Japanese Personal Information Protection Law (the “Personal Data”) of the Owner, disclosure of such Personal Data in LegacyDigital’s possession, correction, addition to or deletion of the content of such Personal Data, cessation of use or deletion of such Personal Data or cessation of supply of such Personal Data to a third party (such request being referred to herein collectively as “Personal Data Request”). (2) The Owner is requested to submit a Personal Data Request by using the method prescribed on the respective page of the Site on which the Owner recorded the subject personal information or by submitting a written application form prescribed by LegacyDigital . The prescribed processing fee will be charged if we are requested to deliver a hard copy of our response to the Owner. (v) other method of confirmation which LegacyDigital deems appropriate. (iii)　In the event that the Personal Data Request is for cessation of use or deletion of Personal Data, or cessation of disclosure of Personal Data to a third party, we will cease use, delete or cease disclosure to a third party within a reasonable timeframe and to a reasonable extent. Please note that if we partly or fully cease use of or delete the Personal Data, or cease disclosure of the Personal Data to a third party, we may be unable to provide services that meet the Owner’s requirements. Although we have implemented systems and procedures to secure the data maintained by us, security during Internet transmissions can never be assured. LegacyDigital employees are made aware of our privacy practices through periodic communications and training. Our policy is to limit access to Personal Information to those LegacyDigital employees or agents with a specific need to access or retrieve the information. We store data on multiple service systems, in controlled environments. To maintain security, we conduct internal reviews of our security measures on a regular basis. Please note, however, that any Personal Information you post in chat rooms or message boards is available to anyone. WHILE LEGACYDIGITAL HAS TAKEN COMMERCIALLY REASONABLE PRECAUTIONS TO SAFEGUARD PERSONAL INFORMATION, LEGACYDIGITAL CANNOT AND DOES NOT GUARANTEE COMPLETE SECURITY OF PERSONAL INFORMATION BECAUSE COMPLETE SECURITY DOES NOT PRESENTLY EXIST ON THE INTERNET. Please refer to contact information of LegacyDigital and the respective Group Companies posted on our Sites.